ISLAMABAD - Inflation stricken masses better get ready to suffer another heavy economic blow as the prices of petroleum products (POL) are likely to witness a major surge from August 1. The expected hike, of up to Rs5 per litre, is likely to mar the Eid of the common man who is already bearing the brunt of traditional Ramazan price puffiness. Increase in the general sales tax (GST) and, as usual, rising oil price trend in global oil market and the depreciation of rupee against US dollar are being stated to be the main reasons behind this likely prices increase. After consulting oil marketing companies (OMCs), the Oil and Gas Regulatory Authority (Ogra) would recommend new prices to the petroleum ministry within couple of days. And, finance ministry would decide about the ratio of petroleum levy, which would play pivotal role in final determination of the POL prices for the next month. "Ogra after consultation with OMCs would dispatch summary of new prices to the petroleum ministry on July 29 for approval, under the monthly price review mechanism," a senior official at the ministry said. In the given situation, it is likely that Ogra would propose major increase in the POL prices, he added. 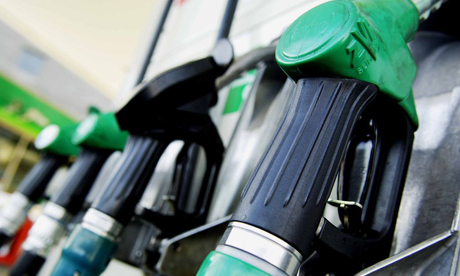 Sources said that as per the Ogra estimates, per litre price of petrol would go up by Rs1.80, high octane blended component (HOBC) by Rs5.10, high speed diesel (HSD) by Rs3.50, light diesel oil (LDO) by Rs3.80 and kerosene oil is expected to go up by Rs3.50. The question is how the struggling salaried class, peasants, workers, labourers and the common men from other walks of life would be able to meet the Eid expenses after this POL prices increase, as it would automatically result in the general surge in the prices of all other commodities. The inflation would be further amplified by the greed of our trade and business community which are used to jacking up the prices ahead of every Eid. The departments concerned and price control committees have long been there but they have always remained ineffective. Over time they themselves have in fact become part�of the problem because, at the end of the day, the burden of the bribes paid by the businessmen to the officials is also borne by the consumer. Economists opine that depreciation of rupee against the US dollar has nearly stopped the economic growth in all major spheres of the economy and it also bumped up oil prices. They say widening current account deficit, excessive government borrowing from the State Bank, absence of foreign flows, increasing oil imports, lack of foreign investment and repayments to the IMF, worsening economic conditions, deteriorating law and order situation, energy crisis and terrorism are the reasons for constant depreciation of rupee.